Cross Country Jumps and Fences for all competition levels, delivered UK and Ireland wide. 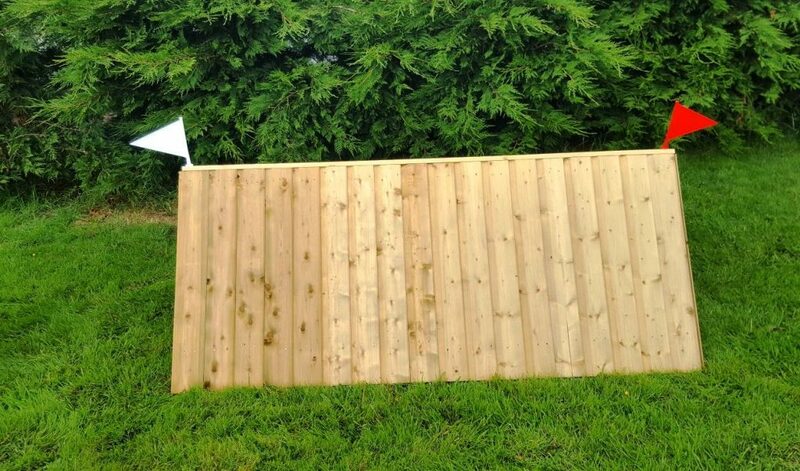 Hand-Built Cross Country Jumps and Fences, complete with flags or markers. Custom built to your own designs. 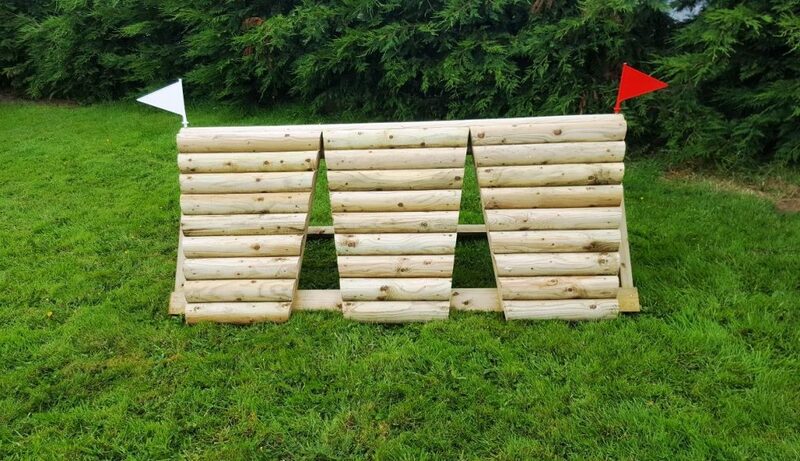 At Whitethorn we have created a range of Cross Country jumps and fences available in single or multi-packs and complete jump course packages. 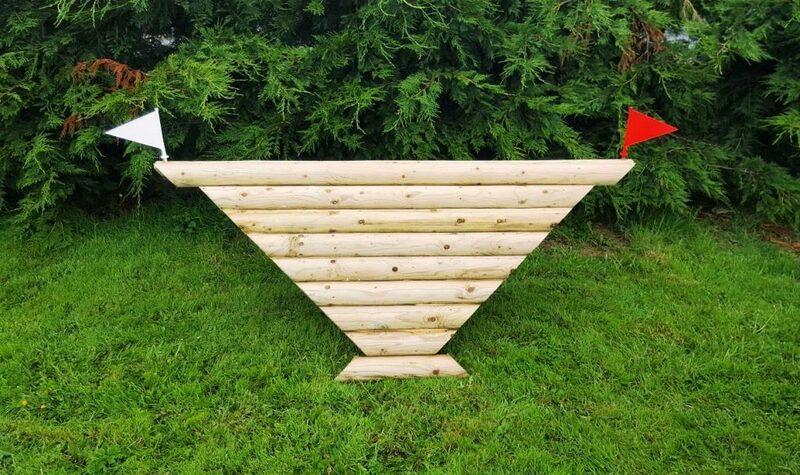 We also offer a complete bespoke design package and can create jumps to any height or size that best suits your needs, horse and level of expertise. We’ll also arrange for delivery of your jumps to anywhere in the UK and Ireland and even the Isle of Man. Equestrian sports and jumping are the perfect way to keep you fit and help install confidence in all budding equestrian enthusiasts. 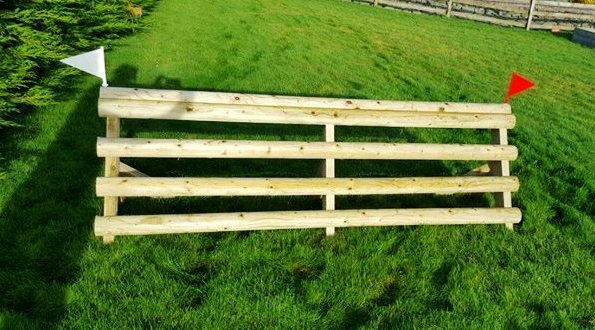 All Cross Country jumps and fences are created using top quality and long lasting materials and machine pressure treated timber. Built to with stand the heavy impact expected of competition horse riders and eventing yet surprisingly easily mobile and transported for relocation. 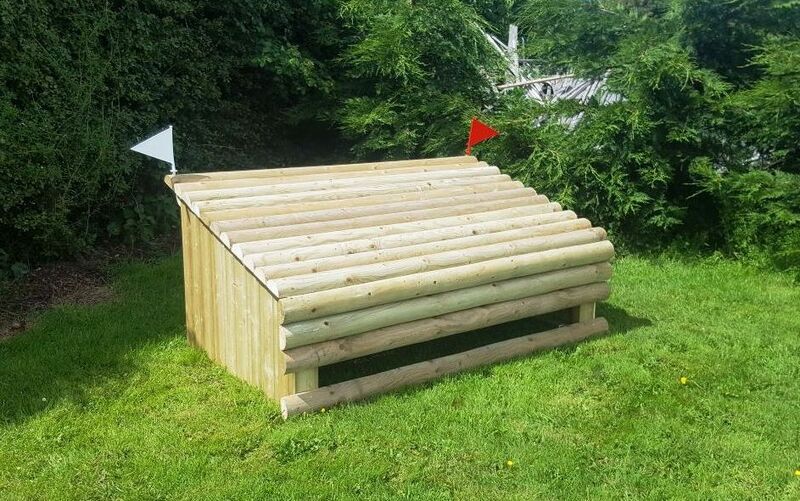 Give us a Call Today on 07706807482 and book your FREE CONSULTATION AND ADVICE SERVICE or fill in our easy to use Contact Us Form and we will be in touch as soon as possible with ideas for a brand new cross country jumps perfect for you. 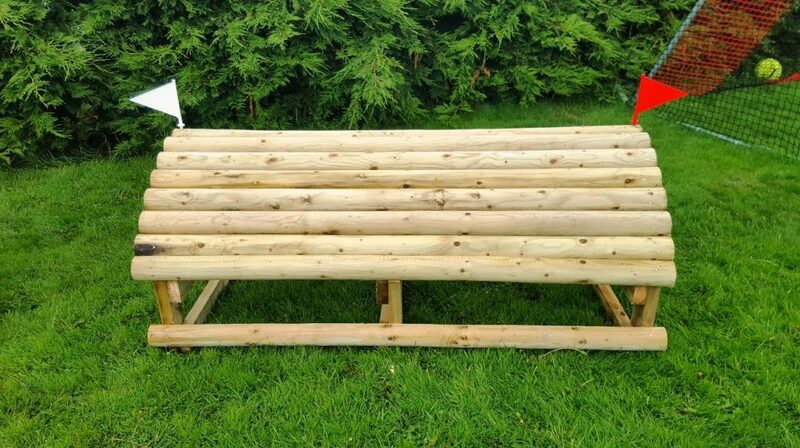 All jumps can be bought individually or has a package and delivered anywhere in the UK and Ireland. Orders normally take around 3 weeks and are also available for collection. Cross Country Jumps can be built at various heights that best suit your level of riding. Approximate standard heights will range from around 60-85cm and about 2 metres in length. Fill in our simple and easy to use Online Contact Us Form. Check out our fantastic range of Timber Stables too. Heavy duty and the best quality on the market. We were looking online and with local suppliers for the perfect stables for our horses. Whitethorn Timber Products were able to give us just that. The boys called out with us for a chat and came up with a complete bespoke design that gave us everything we wanted. We are really pleased with the finished result and so too are the horses. Many thanks again. From first contact until delivery the customer service was first class. We talked over our needs since we wanted a smaller shelter for a pony and whitethorn accommodated us without issue. The quality of the product surpassed our expectations - definitely one of the best "Santa" presents ever! Thanks again and we look forward to adding to this later in the future. We live by the coast and as such get some challenging weather for any building. We are very please with our stables built by Whitethorn Timber Products and how it stands up to the elements. The company made adaptions for us to maximise the space at our yard. The stables are a great success for us and our horses.